British Airways will begin to board passengers according to their ticket price on December 12. Passengers with the most expensive tickets will board first and those with the least expensive tickets will board last. The airline is being accused of promoting a class-based system of customer service. 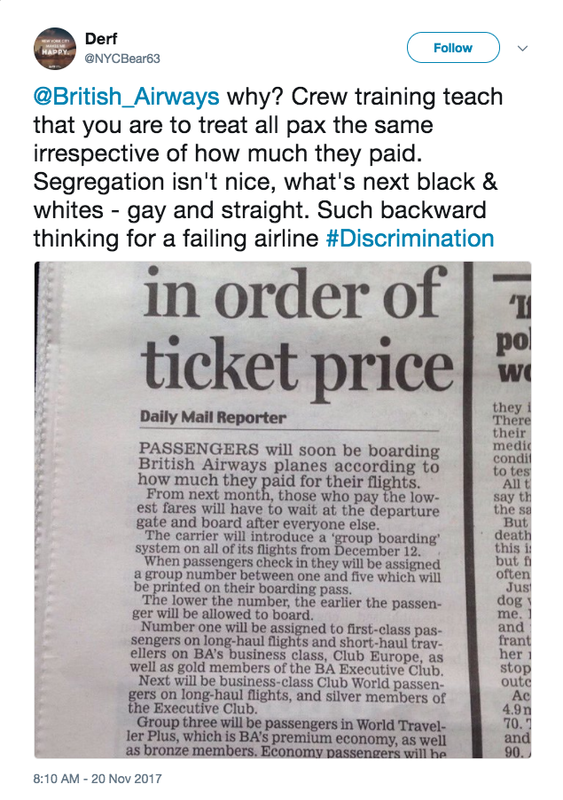 British Airways has been no stranger to controversy over the past few months. From reports of passengers facing bedbugs and urine-soaked seats to an evacuated plane and IT glitch, the airline has struggled to regain favor with some of its customers. It appears a new boarding policy won't help. The airline announced on Monday that it will begin to board passengers according to the price of their ticket, with the highest-paying customers boarding first and the lowest-paying boarding last. While this price-based boarding system is common among U.S. airlines, it has yet to gain traction in Europe. 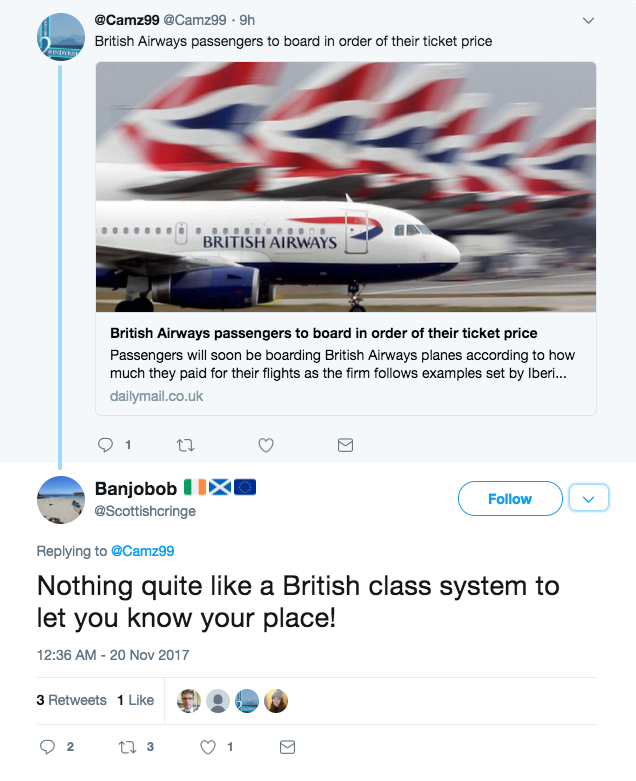 Critics accused British Airways of promoting a class-based system of customer service, with the wealthiest customers getting preferential treatment. 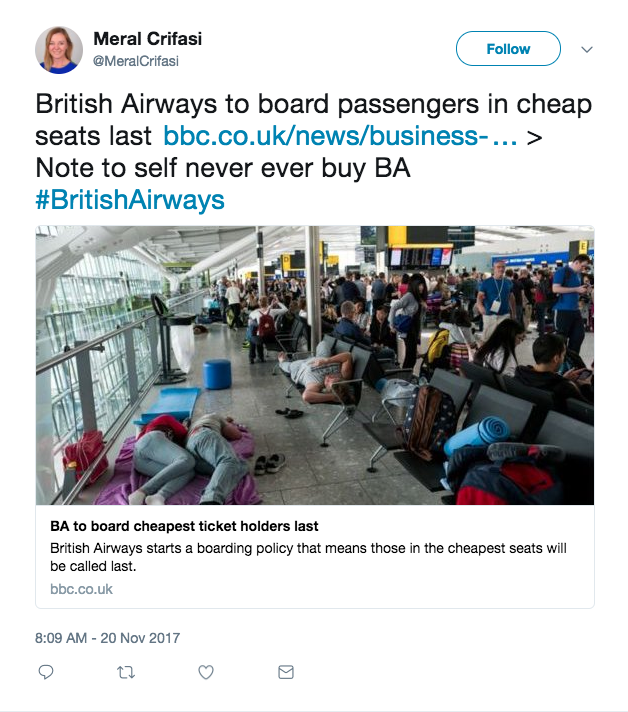 British Airways responded by saying the new policy was designed to streamline the boarding process. "We are always looking at ways to improve and simplify the airport experience for our customers... Next month we are introducing new boarding procedures to speed up the process and make it simpler for customers to understand," the company told the BBC through a spokesman. "This method has been used by airlines around the world for a number of years, including by our partners American Airlines, Iberia and Qatar."